RAPAPORT... Rio Tinto’s new chief executive officer said he plans to expand the miner’s diamond mining operations, three years after the company considered selling the business. “I would like to have more diamonds, to be very explicit. That’s a priority area,” CEO Jean-Sebastien Jacques said in an interview with Bloomberg Television on Tuesday. Jacques was promoted to the top job in July. His predecessor, Alan Davies, had considered divesting the diamonds business back in 2013 as part of a strategic review, but ultimately decided against it because of growing luxury demand in Asia and the continuing strength of the North American market. However, Rio Tinto’s decision to merge its diamonds unit with the copper business under divisional head Arnaud Soirat stoked speculation the miner was relegating its precious stones business. Earlier this year, the group abandoned the Bunder mining project in India to reduce costs and amid calls to examine the impact of the project on wildlife. Now, the company is singing a different tune. Soirat told an investor presentation on Tuesday the company’s two remaining diamond assets are “good operations with attractive market fundamentals” and continue to generate cash. 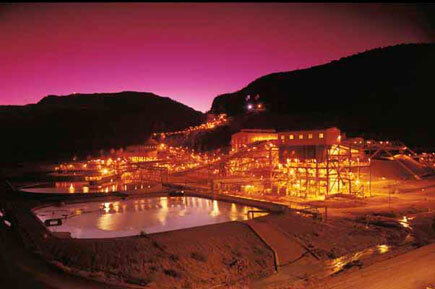 These are the Argyle mine in Western Australia, famous for its colored diamonds, and a 60 percent stake in the Diavik mine in Canada’s Northwest Territories. Underlining an apparent positive outlook for the industry next year, Rio Tinto said it intends to increase diamond production to a range of 19 million to 24 million carats in 2017, from 18 million to 21 million carats planned for this year.